I love spring time. I love the chartreuse green of new spring growth. I love my daily garden inspections that always find something emerging from beneath the bed of protective mulch. I love old concrete garden ornaments. I love terra cotta pots. 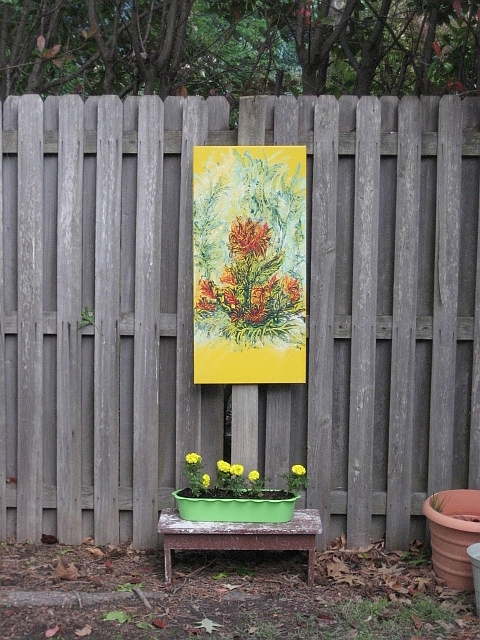 We hung this original art piece on the fence yesterday. 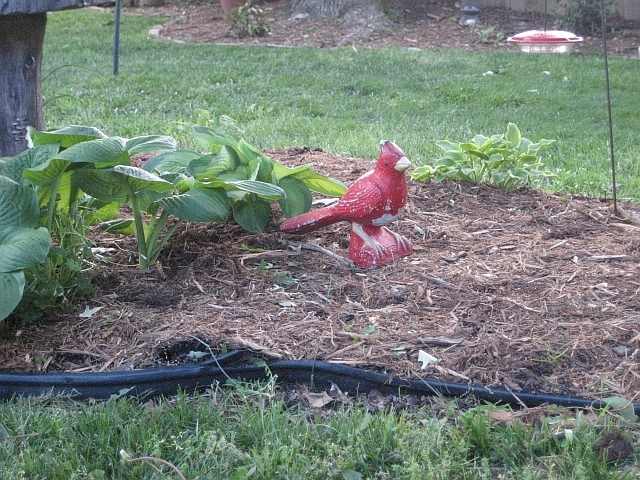 It is waterproof garden art by my dearest friend Ray Litton. It is enamel paint on sheet metal. My daughter Shannon added the flowers. 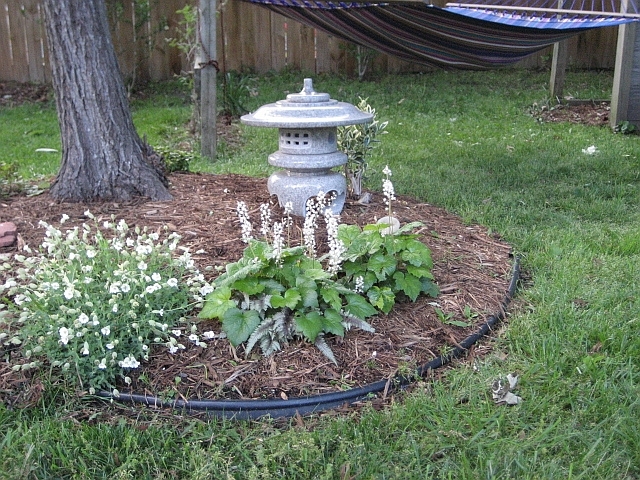 My gorgeous polished granite Japanese lantern. 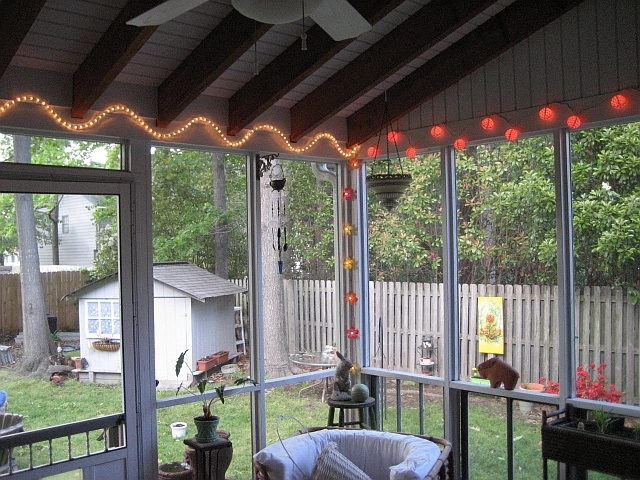 Kevin put up new lights on the screened porch. He did a fab job! And, I agree, the porch lights look fab. Very festive. Now, go have a cook out!